People who have to survive years of drought would certainly appreciate some of the rainfall that other regions of the world receive or in general to have more water resources available. 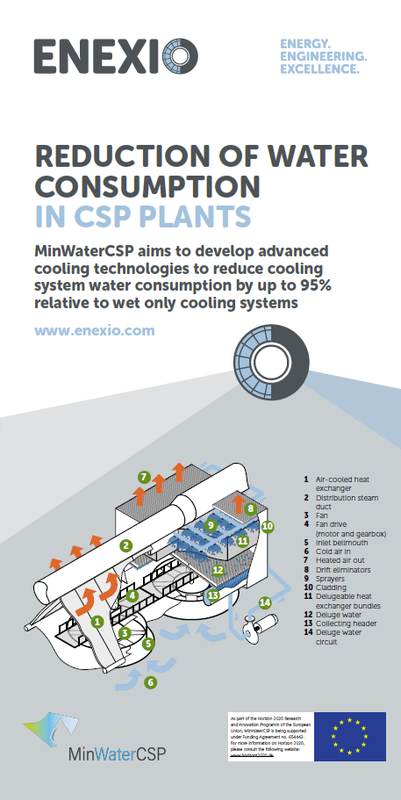 That’s why ENEXIO and 12 further organizations are partnering within MinWaterCSP to develop customized, reliable and sustainable solutions conforming to the signs of the times. 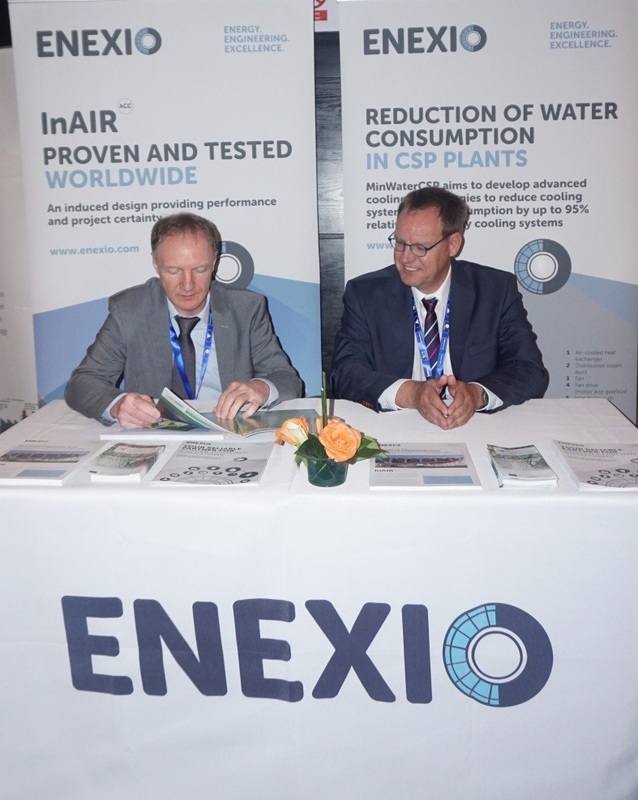 At the North Africa Renewable Energy Summit 2018 which took place in Casablanca, Morocco from 9-10 May 2018, ENEXIO presented its hybrid air-cooled condenser being developed as part of the MinWaterCSP project. Customers showed great interest as it could be demonstrated that hybrid air-cooled condensers allow for a power output increase of CSP plants by marginal consumption of service water. This is even more interesting as CSP technology remains attractive in regions with a high solar irradiation and could reach a 10% share of the renewable energy market. These different sub-technologies are further developed by the MinWaterCSP partners until the end of the project (December 2018). The North Africa Renewable Energy Summit 2018 has focused on the latest developments in photovoltaics, concentrated solar power and wind power in Morocco, Egypt, Algeria and Tunisia. The event offered a platform for stakeholders to exchange about renewable energy topics. Thus, it presented an excellent opportunity to promote MinWaterCSP technologies. With our experience and pioneering spirit in engineering, manufacturing and service, we deliver state of the art solutions for power plants, water and wastewater applications – always inspired by our profound sense of responsibility for the overall management of resources and a clean environment. We deliver excellence and achieve customer satisfaction everywhere in the world. Our global network of employees works with an unceasing commitment to high quality, ecology and cost-effective products and services. This communication related to the action MinWaterCSP is made by the beneficiaries and it reflects only the author’s view. The European Commission is not responsible for any use that may be made of the information it contains. © 2018 MinWaterCSP. All Rights Reserved. Design & Developed by Webfront. This website uses Google Analytics. If you wish, click here to opt-out.